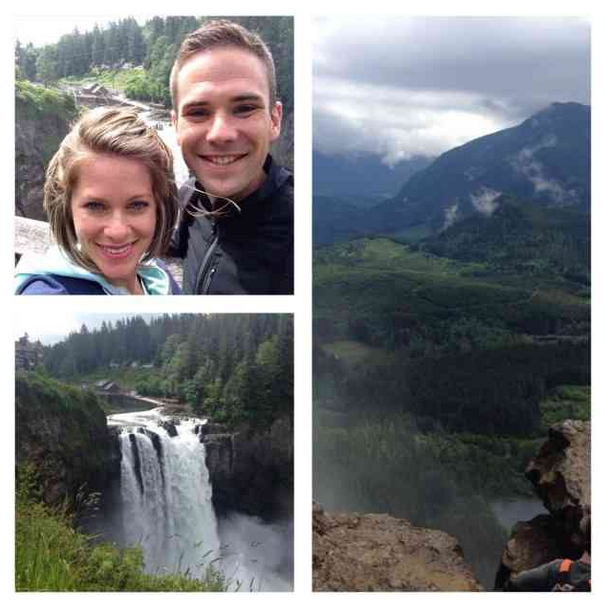 This week, the hubs and I flew to Seattle for a 5 day vacation/business trip … without the babies! I am currently on the flight back to Ohio (hubs is in Seattle for a few more days), and I cannot want to see Baby Cole and Emma. This was my first trip away from Cole, and only my second or third away from Emma. 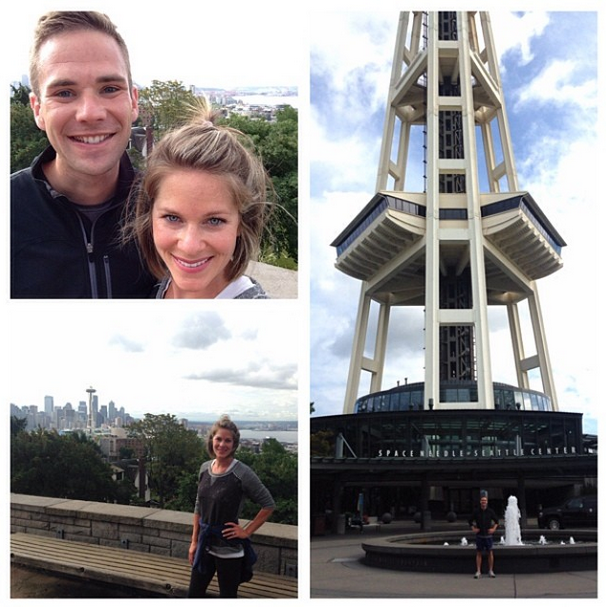 We took a run up to Kerry Park for a great view and visited the Space Needle on the way back. 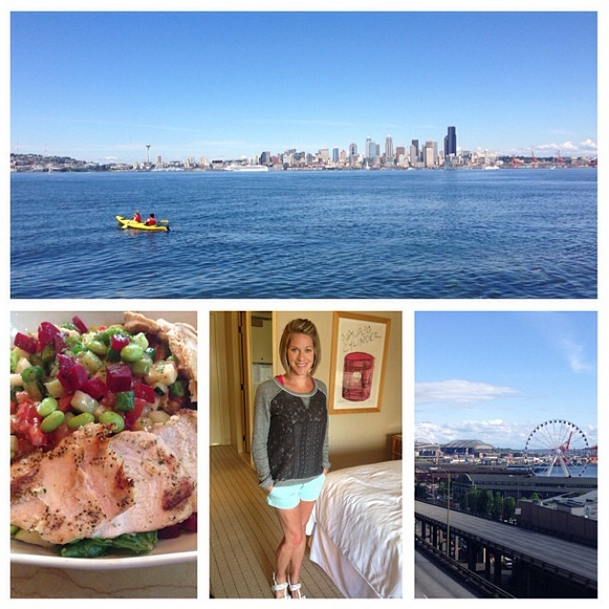 We had never been to Seattle, so we had a ton of fun exploring the city and surrounding area. The first two days, we stayed with two of our friends from college, and were able to get a great tour of Ballard, Seattle with the guys. We also visited Rattlesnake park and hiked up a mountain for a beautiful view. 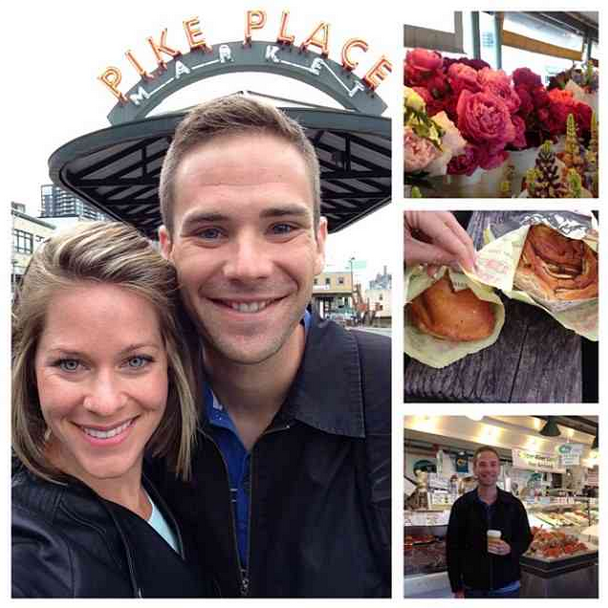 The trip highlight was likely visiting Pike Place several times and enjoying a LOT of amazing local food at both the market and small restaurants. It was rainy for our first two days of sight-seeing, but the weather cleared up on the third day! The hubs and I decided to stay fairly close to our eastern time schedule, so we woke up around 5 a.m. pacific every day to get an early cup of coffee and hit a few fun spots for breakfast. I love being out in a city early in the morning while it’s still peaceful and the sun is just starting to come up. We had fun with our friends from college! Before heading to Seattle, we expected the weather to be rainy from the very little we knew of the area. Well, we were right. It was rainy. But … it was also sunny. The weather changed from hour to hour, and we were able to enjoy indoor activities in addition to outdoor runs and hikes. 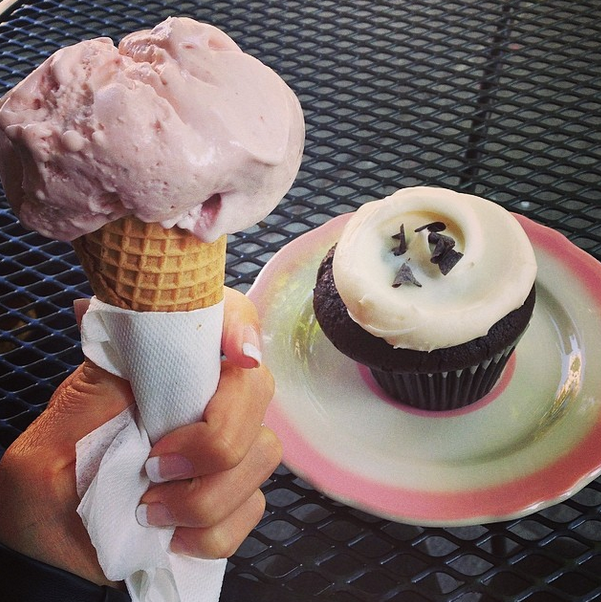 I definitely enjoyed some delicious desserts while I was in Seattle. As I mentioned earlier, this was my first trip without Baby Cole. And it was tough. We had toyed with the idea of bringing him along, but ultimately decided to leave him home and get some extra help for my mom who was scheduled to watch Miss Emma. It was HARD to leave him. The first evening we were in Seattle, I really regretted going. I missed Baby Cole and he was having a hard time with me away as well. By the second and third days, we were both getting a bit more used to being apart, and I was able to enjoy some of life’s little kid-less pleasures — like 1) going to the bathroom with the door closed. 2) drinking my coffee in peace. 3) eating anything without two little birds whining for a bit. 4) traveling without a car seat, diaper bag, pack-n-play, bottles (you get the picture). There were definitely some major advantages to traveling in Seattle without a baby. However, every time I saw a baby or toddler on the street, it made me miss the kiddos. We enjoyed an awesome hike with my girlfriend from college at Rattlesnake park. I am so glad that I can say I have visited Seattle. 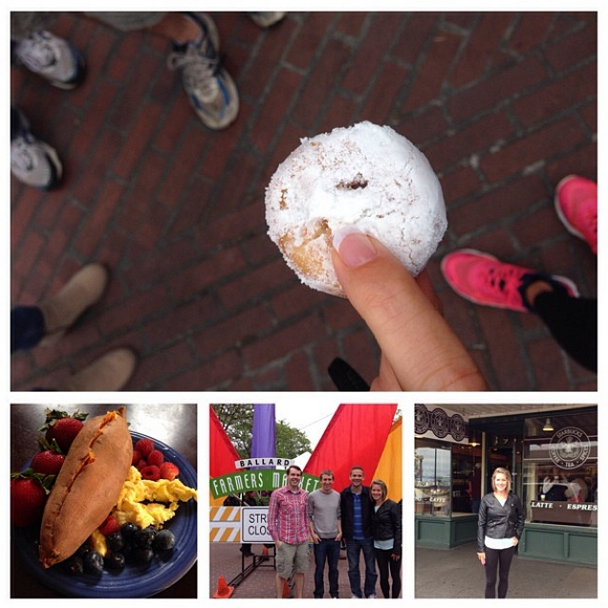 I had a great time and really enjoy the city. If I had to do it all over again, I would leave for one or two nights versus 5 days. I did FaceTime with Emma and Cole yesterday, and that was a huge mistake! Cole lost it and I started missing him even more! It’s about 7.30 pacific, and I will be with my babies by 7 p.m. ET (assuming I don’t hit any travel delays). It’s a LONG travel day, but thankfully I was able to get WiFi on the plane and will be working on several projects while I fly! I cannot wait to see my babies!! !